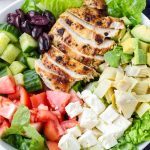 This super easy Mediterranean Grilled Chicken Salad is the salad of my dreams! 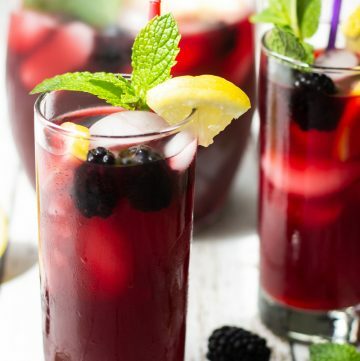 Made with a juicy and flavorful grilled chicken breast and tossed with a quick Mediterranean red wine dressing. Dinner salads are so delicious and a great way to increase your vegetable intake. 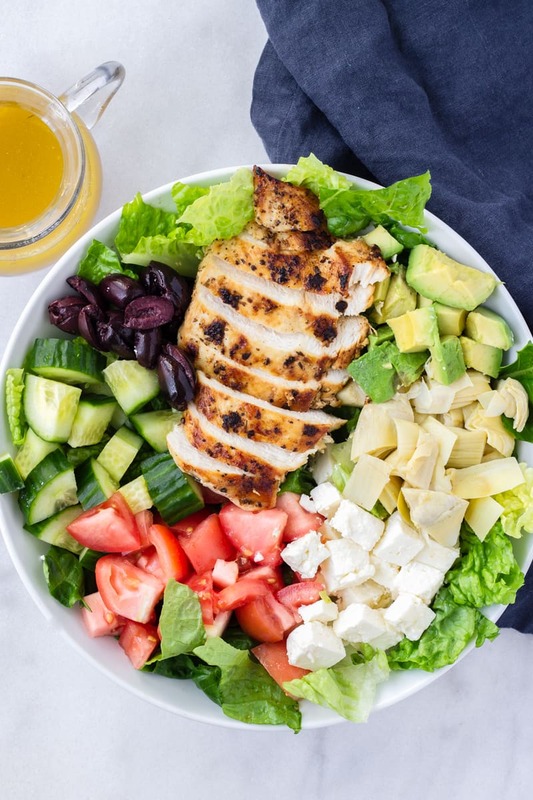 For dinner salad choices, I usually go for grilled chicken salads or just anything that fills me up. 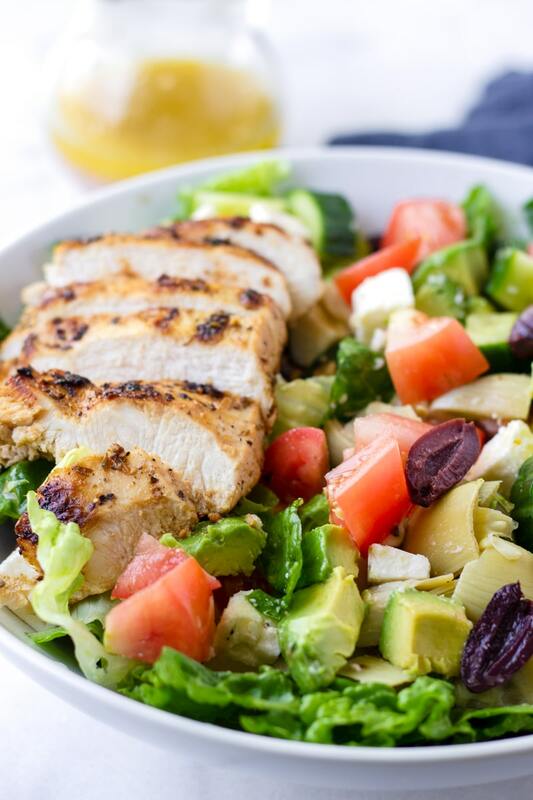 This Mediterranean grilled chicken salad was definitely a great choice! It was so so good! I absolutely love Mediterranean flavors…you know, pretty much anything that has feta cheese, olives, and artichoke hearts. Not going to lie, this super delicious and filling Mediterranean chicken salad has definitely won my heart. 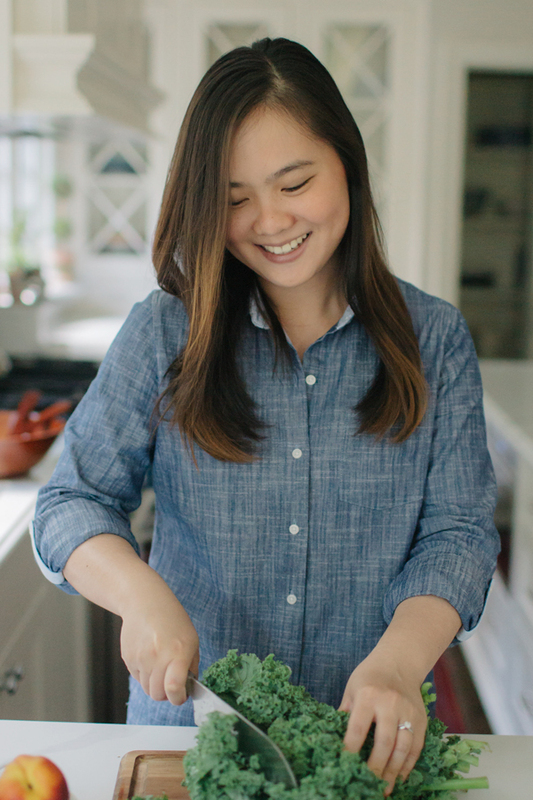 Oh and did I mention this salad is super easy to make? That’s always a good thing, right? What’s in a Mediterranean Chicken Salad? As for the Mediterranean grilled chicken, it’s super easy. Just pound the chicken breasts to about 1/2 inch thick, and marinate with minced garlic, lemon juice, olive oil, oregano, salt, and pepper. The trick to grilling a juicy chicken breast is 1) pounding it evenly to about 1/2 inch thickness, and 2) not overcooking it. 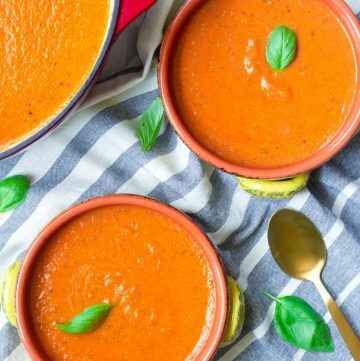 To avoid overcooking, use an instant read thermometer and cook it until the internal part reaches 165 degrees F.
minced garlic – can’t leave this one out! For specific quantities, check out the recipe card below. I’ve also made dressings with sumac and other spices, so feel free to experiment with that! I could eat this every week for lunch, I swear. 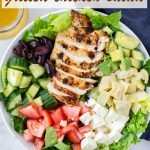 This Mediterranean chicken salad is so easy to make, so it’s a great choice for a quick dinner. 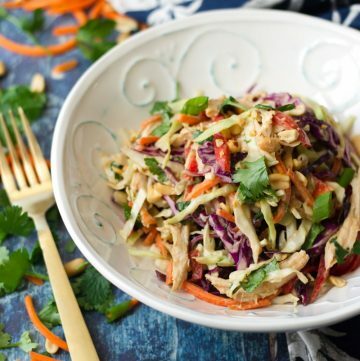 All you have to do is marinate the chicken and cook it, and toss the salad ingredients. 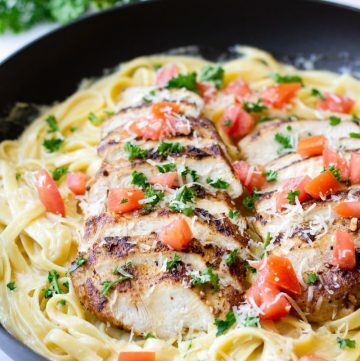 You could even marinate the chicken overnight for an extra flavorful chicken breast. 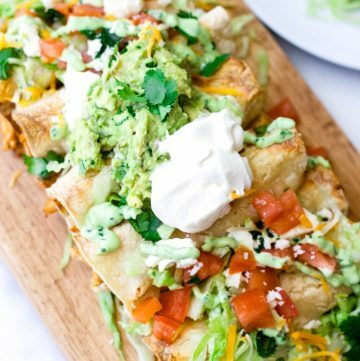 It would also be a great meal to pack for lunch; I’d recommend cutting up the avocado right before eating and obviously packing the dressing separately. 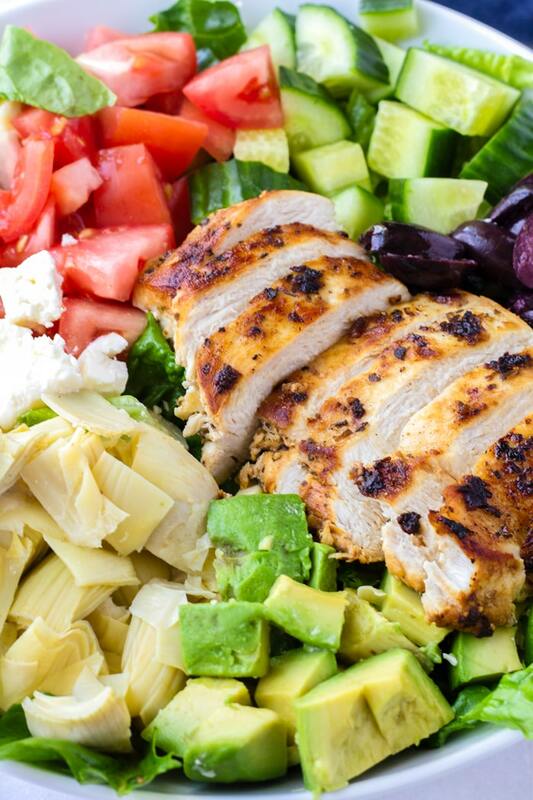 I hope I convinced you to make this grilled chicken salad for your next meal. I’m sure you will love it as much as I did! To pound chicken easily to even thickness, use a meat tenderizer. They are very helpful! I’d recommend OXO’s meat tenderizer. Cut the avocado last to prevent it from getting dark. I prefer artichokes packed in water, but feel free to use marinated artichokes too. 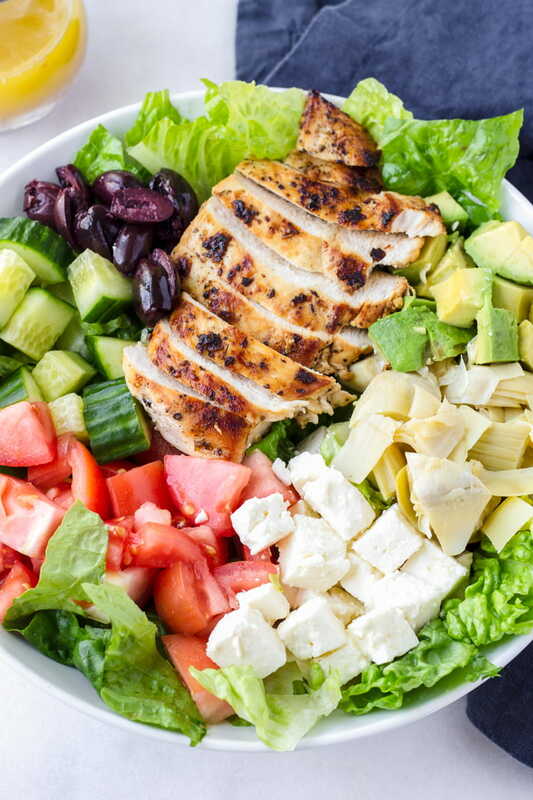 This grilled chicken mediterranean salad is so easy to make and delicious! 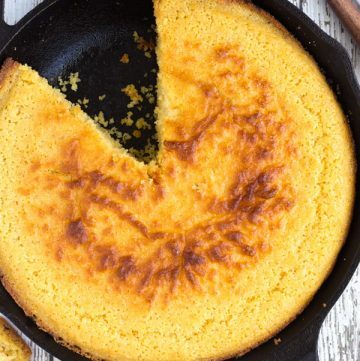 It comes together in about 30 minutes, and is a great choice for lunch or dinner. In a Ziploc bag, add the marinade ingredients and the chicken breast, and marinate for about 15 minutes while you prep the vegetables. Keep in the fridge for safety. Meanwhile, combine all the Mediterranean dressing ingredients in a mason jar and shake well. Heat some olive oil on a grill pan to medium heat. Grill chicken on both sides, about 6-8 minutes each side until cooked through or until internal temperature reaches 165 degrees F. Transfer to a plate and rest it for 10 minutes. Slice. Toss all prepared salad ingredients in a bowl. Top with sliced chicken and serve with Mediterranean dressing.